Background: A large proportion of land in southern Ontario is used for agriculture and these areas also provide essential habitat for several bird species whose populations are declining. Many questions persist about how these populations are affected by farming practices and what can be done to support bird conservation on farms without negatively affecting Ontario’s agricultural sector. Various programs provide farmers with funding and incentives to implement best management practices that are intended to support grassland birds on farms (e.g., planting native grasses, installing fences to incorporate delayed grazing, delaying the hay harvest). Most of these programs do not include a monitoring component and there is little information available about the impact of these stewardship activities on the birds. Project work: We are developing a monitoring scheme for stewardship projects and assessing the impact of some best management practices on Bobolink. In 2017 and 2018, we used three monitoring techniques (point counts on roadsides, point counts in fields, and transect surveys) to assess Bobolink abundance and reproductive success in fields. In 2017, we monitored Bobolink in pastures; in 2018, we monitored Bobolink in hay fields, restored grasslands, and fallow fields. In addition to evaluating the efficacy of common monitoring techniques, we will assess the impact on Bobolink of best management practices implemented in pastures and hay fields included in this study. Conservation implications: We will provide the monitoring scheme developed through this project to conservation and agricultural organizations administering stewardship programs to improve science-based conservation. 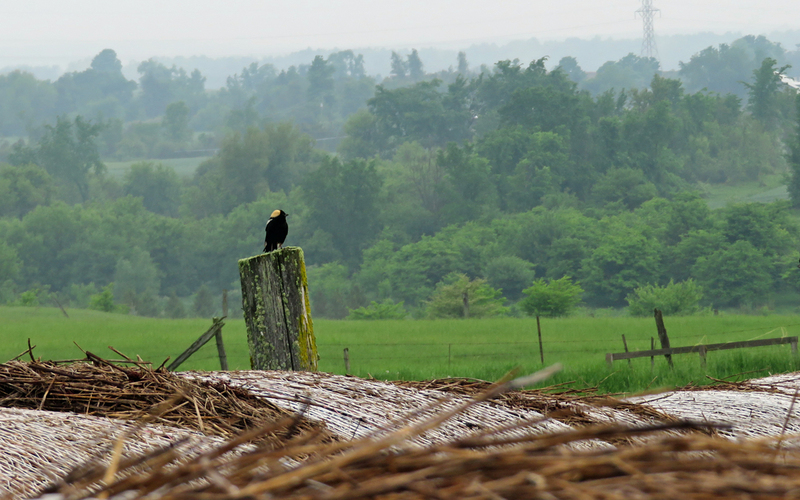 We will also develop a monitoring protocol to assess when Bobolink are finished breeding in pastures and hay fields to provide a reliable approach of determining when it is safe to graze or cut a field that is set aside for Bobolink conservation. Funding: Support for this project was provided by the Government of Ontario; Echo Foundation; the CICan Clean Tech Internships program; the Ontario Soil and Crop Improvement Association through the Species at Risk Partnerships on Agricultural Lands (SARPAL) program, an Environment and Climate Change Canada initiative; and individual donors. This three-part video series provides a glimpse of Bobolink behaviour during the nesting season using footage and photographs taken by Gerald Morris, BECO Field Biologist, in 2016 and 2017.